Are you a professional gamer? Or a Crypto Miner? Are you looking for a best power supply unit to fulfil your PC power needs? PSU is one important component in a PC. Especially if you are performing heavy duty tasks or if you have a decent graphics card under the hood. Without a good PSU your PC would not perform the way it is supposed to work. A PSU does not have anything directly to with the speed of your PC but indirectly it controls and supplies all the power to the components. Your components will only work better if you have some good power supply placed at your PC or else it won’t help. Well, here it is. The best 1000 watt power supply from FSP. 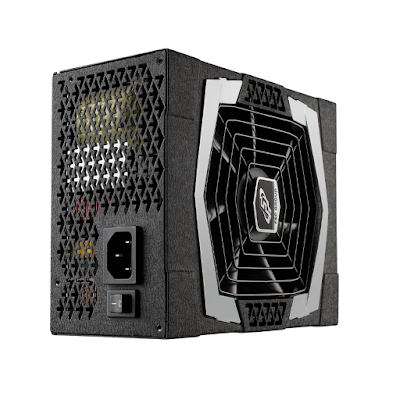 FSP Aurum PT 1000w is the best choice if you are looking for a 1000w PSU. It has got all the quality and perfect build mechanisms which makes a best power supply unit. Lest jump into what this beast has got under the hood and how it is the best 1000w PSU you can get for your PC. It is rated as 80+ Platinum which is the second best efficiency rating. This means it gives you over 90% output efficiency. Aurum PT 1000 is fully modular which means no cable is permanently attached, you connect any connector/cable which you need. The operating temperature for this PSU is 0°C – 50°C. Since we all know that a PSU has to do with electric supply and current. It get the current from external source and then supplied power to all your PC components. So it needs to have some kind of protection as well. FSP has always been focused on good load regulation. This PSU is also good at it, it distributes the load efficiently. The Aurum 1000 PT has Japanese capacitors under the hood which makes sure the component is reliable and it comes with a massive 7 years warranty. It is dead silent on low and medium load, you won’t hear any noise. It makes a little noise when high load is put on, but this is pretty common in all power supply units. It can also handle SLI and Crossfire very professionally. You won’t feel any lag or low power. The power needs are properly fulfilled. The fan which comes under the hood is 135mm hydro dynamic bearing which again is good quality and makes the PSU run smoothly. 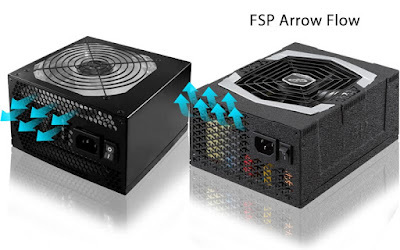 FSP always has something special on their components and on this PSU it’s the airflow. It’s a unique airflow technology which supports arrow-shaped airflow. This gives ultimate cooling to the PSU. Because a PSU will perform more better if it’s cool and has proper airflow. As it’s fully modular so it comes with a wide range of cables and connectors. Overall it has 13 SATA and 8 PCI-E cables. Below mentioned is a list of cables which comes with this best power supply unit. So now that you know all about this PSU you can decide whether it’s the best fit for you or not. While choosing a PSU you should be careful, first you should know what type of power your PC needs. A 1000W PSU is always up on the top because it provides enough power to run and any component and any heavy load game. It is also very much suitable for mining purposes. Keeping in mind all the good factors of Aurum PT 1000 like silent operation, unique airflow technology, Platinum level efficiency, full modularity etc. it is the best fit for almost any mid-level to professional gamer. That’s all about FSP Aurum PT 1000. FSP has a whole lot power supplies but this one is the best among those. Experts have reviewed it as one of the best PSU in 1000w range and works perfectly fine under heavy load.